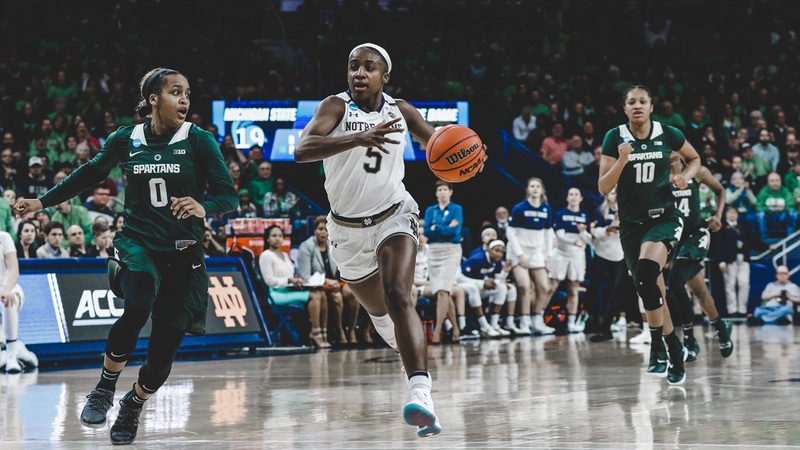 Notre Dame and Muffet McGraw took a second punch to the gut as junior guard Jackie Young has declared for the 2019 WNBA Draft less than 24 hours after falling 82-81 in the National Title game on Sunday evening. To Coach McGraw and the coaching staff, thank you for believing in me, pushing me and shaping me into the person and player I’ve become. Young averaged 14.3 points, 7.0 rebounds and 5.2 assist this season, including scoring 25 points and pulling down 10 boards against Stanford to advance to the Final Four. McGraw made a final pitch publicly to ESPN as she felt Young had more to prove as a senior with the departure of key pieces to the team. Young is projected to go as high as the No. 2 pick in the WNBA Draft on April 10th at Nike New York Headquarters.